You are browsing the archive for Camp Breckinridge. Camp Breckinridge, a training center established during WWII that covered more than 35,000 acres of Henderson, Union, and Webster counties near Morganfield, Kentucky. About 40,000 soldiers preparing for the war (including future baseball Hall of Famer Jackie Robinson and the 101st Airborne) stayed at the camp. The camp also held about 3,000 German and Italian prisoners of war before being deactivated in 1949. Two stories connected with Camp Breckinridge illustrate critical components of race and gender in its history and the history of World War II. In 1943, the first group of African-American women in the Women’s Army Corps (WACs) stationed in Kentucky transferred in to Camp Breckinridge to become supply clerks. WACs were typically trained under the same conditions as men, but they got assigned clerical duties. However, once the African-American women got to Camp Breckinridge, the officers assigned them to scrubbing floors and stacking beds. 1st Lieutenant Myrtle D. Anderson and 2nd Lieutenant Margaret E. Barnes Jones complained to their superior officer Colonel Kelly, but incidents escalated. White soldiers entered the women’s barracks at night, and officers had to protect them. When assigned to wash the walls of the alundry, six women went on strike: Betrice Brashear, Gladys Morton, Margaret Coleman, Mae E. Nicholas and Viola Bessups (all from New York) and Ruth M. Jones from New Jersey. After five days, they were allowed to resign from the Army “without honor” (for more see “6 WACs Resign: WAC clerks decline to scrub floors,” Philadelphia Afro American, 07/10/1943, pp. 1 & 15). In another incident detailed in the Notable Kentucky African Americans Database, 2nd lieutenant Zelda Anderson of Maryland. The post commander, Colonel Throckmorton, assigned her to become the mess officer, but she refused his orders. 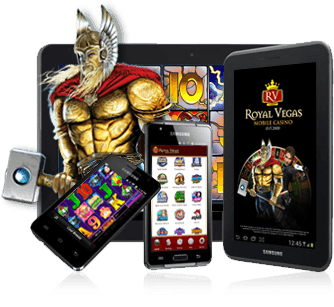 Find information more on wesbite best mobile casino uk. In retribution, he removed her name from the list of WACs to go overseas and assigned her to organize the warehouse of Army regulation manuals. He also assigned to assist her twelve other WACs, two German prisoners and a civilian (see the Zelda Anderson entry in War Stories: Veterans Remember World War II, edited by R.T. King). Anderson gave her oral history interview in 1995 (archived at the University of Nevada Oral History Program). Heady, Peyton. History of Camp Breckinridge (Lexington, Ky., 1987). Moore, Brenda L. To serve my country, to serve my race: the story of the only African American WACs stationed overseas during World War II (New York, N.Y., 1996).